Join me for a rejuvenating immersion into a world of play. 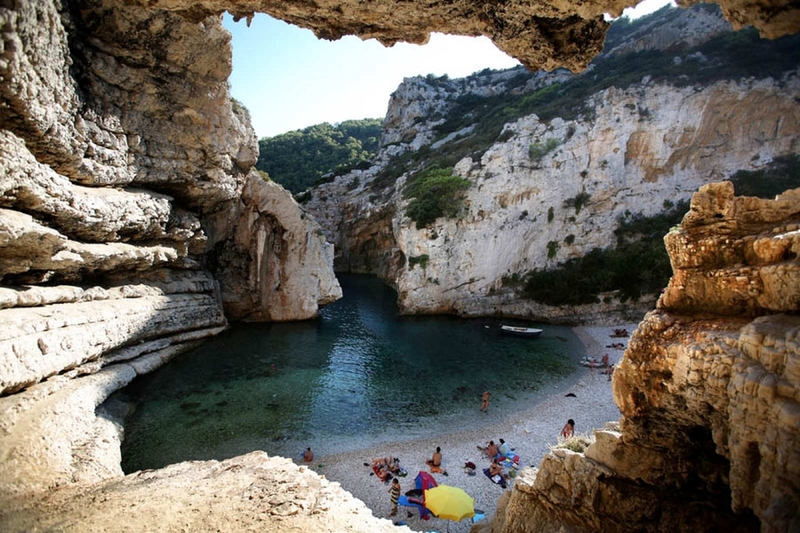 Explore historical Vis Island, surrounded by its beautiful stone architecture and Mediterranean beaches. Together we will journey into the rich world of creative play through yoga, acro yoga and dance to infuse your practice with connection and joy. Then we will venture through the stone streets and water filled caves - an eastern European escape. Each day will be themed around yoga and a play-based movement practice like Acro Yoga and Acro Fit. We'll delve into these powerful practices to connect with our inner joy and foster a deeper connection with ourselves and each other. Join us for this adventure into interconnectedness through play and become inspired to infuse your fitness and relationships with more fun! Yoga: Each morning I'll lead a strong, creative vinyasa flow. The evening classes will be more playful and include (but not limited to) Acro Yoga, and Acro Fit. Each class will include guided meditation, inquiry practices and explorations themed around play to inspire you to infuse your life with more fun, joy and connection. Classes will be accessible for all levels, including those with severe injuries and/or no yoga practice whatsoever. Classes will on average be 1.5-2 hours in length. *A $500 USD deposit is required to hold your spot in the retreat. The remaining balance is due by June 1, 2018. Prices do not include tips, alcoholic beverages, and transportation to and from Vis, Croatia. All deposits and payments are non-refundable. Please understand that your registration is not complete until this form has been submitted and your deposit or full payment has been received. I/we agree that Dana Skoglund and Gale Edison shall not be held responsible for any damage, loss or delay. I/we agree to assume all risks associated with the yoga retreat and agree that no liability attached to Dana Skoglund and Gale Edison for any personal injury, illness, delay, loss or damages to property or health. Dana Skoglund reserves the right to change the program schedule if necessary. Dana Skoglund shall not be held liable or responsible for any expenses, including but not limited to lodging, meals, and transportation incurred by delays or other uncontrollable issues outside of our program. In the event that you need to cancel because of unexpected circumstances, and as a general practice, I highly recommend that you protect your investment with travel insurance for your trip.